Troy Duffy is among those directors who have managed to push out a classic (albeit cult) film despite his tendencies to self-sabotage. Unlike Richard Kelly (Donnie Darko), Duffy hasn't been given much of a chance to prove himself beyond this film, his only other movie being the 2009 sequel which, although not as good as this, was at least not a pretentious muddle. That said, Duffy, if the documentary about the making of this film is to be believed, is his own worst enemy behind the scenes. Miramax wanted the screenplay and was willing to sink a good amount of money into it, but Duffy began acting like a Coppola before he had even filmed anything and lost that deal. 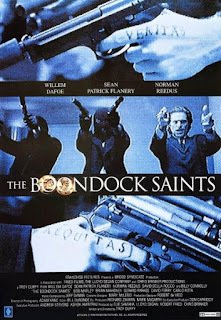 The deal he made with Franchise left him, and his cast, without the home video earnings, which is where The Boondock Saints eventually made a profit. The film had the bad luck to come out soon after the Columbine High School shootings, and thus debuted in only a handful of theaters. Sometimes circumstances just come together to make a classic movie. Director William Friedkin's previous film had been The French Connection, which had one of the most famous car chase scenes up to that point (and inspired many more throughout the 1970s) as well as a great performance by Gene Hackman. It also had a rather unique pseudo-documentary style that set Friedkin's movie apart from similar crime and action films. William Peter Blatty had a bestseller on his hands with The Exorcist, seemingly a horror novel about demonic possession but heavy on themes of faith and family. Through numerous circumstances the two Williams became friends, with Blatty adapting his novel into a screenplay and Friedkin directing. 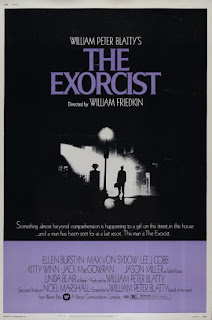 It became one of the biggest movies of 1973, as well as a horror classic that is revered to this day despite four attempts to destroy its legacy through sequels that run the gamut from painful to just dull, one of them by Blatty himself. Ever since the Harry Potter series ended, fans have been clamoring for more. Thing is, the fans have grown up since following the team at Hogwarts. J. K. Rowling perfectly timed her series of seven books so that fans who started reading at the age that started at the beginning of Harry's adventures aged with him. The books got darker and more adult as they went along. Because of frequent press releases from Rowling, we know largely what happened to Harry, Ron and Hermione over the years, and a recent play has even kept us up to date. This is despite Rowling originally intending to abandon the Potter universe for more traditional fiction. It didn't work out as well as she intended, and I am sure the money to do another series was irresistible. 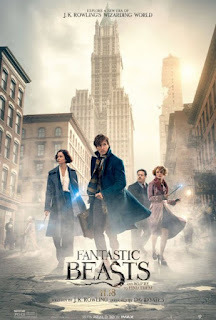 Therefore, we have the beginning of a five-part series based on one of Hogwarts's textbooks, Fantastic Beasts and Where to Find Them, by Newt Scamander.